Displacement due to disaster has multiple repercussions on victims, including on stakeholders who are drawn to the situation. While short term effects tend to receive much attention, the same cannot be said of long term concerns. While safety is a primary concern in a resettlement agenda, victims tend to have an array of complex requirements, which may or may not go in tandem with donor and government objectives, and this can lead to varied sentiments regarding the resettlement. 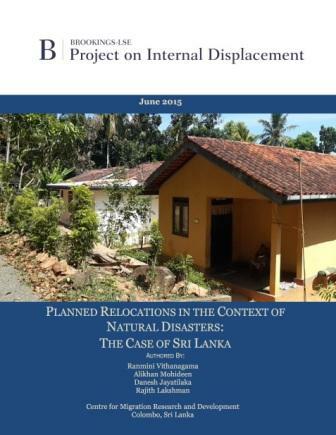 This study is an attempt to understand how 10 years after the Tsunami disaster, a selected community in Matara, Sri Lanka, have fared after being resettled and the lessons that can be drawn from the post disaster relocation incident. Displacement, whether due to conflict, natural disasters or development, not only directly and negatively affects those who are displaced, but also can have far-reaching effects on the culture and society as a whole. 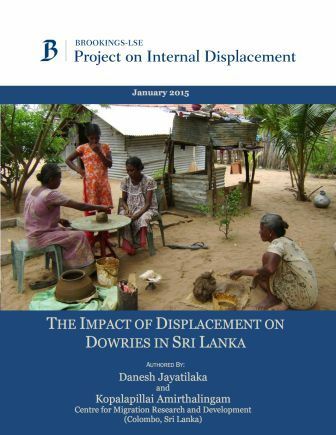 The objective of this study is to examine the impact of displacement, caused by both the civil war and the 2004 tsunami - on Sri Lanka's dowry systems - and the subsequent consequences for women's livelihoods, family life and social traditions. While there are existing studies on displacement, gender and dowry systems in Sri Lanka, to the best of our knowledge, there are no studies examining the impact of displacement on dowries in Sri Lanka. This study is an attempt to shed light on this subject.